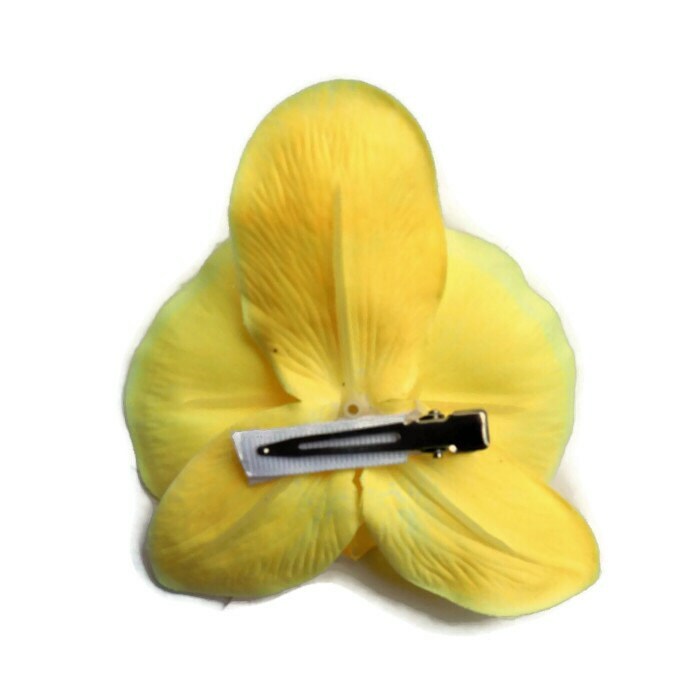 This gorgeous tropical yellow orchid hair flower measures approximately 4" across and is backed by an alligator clip. 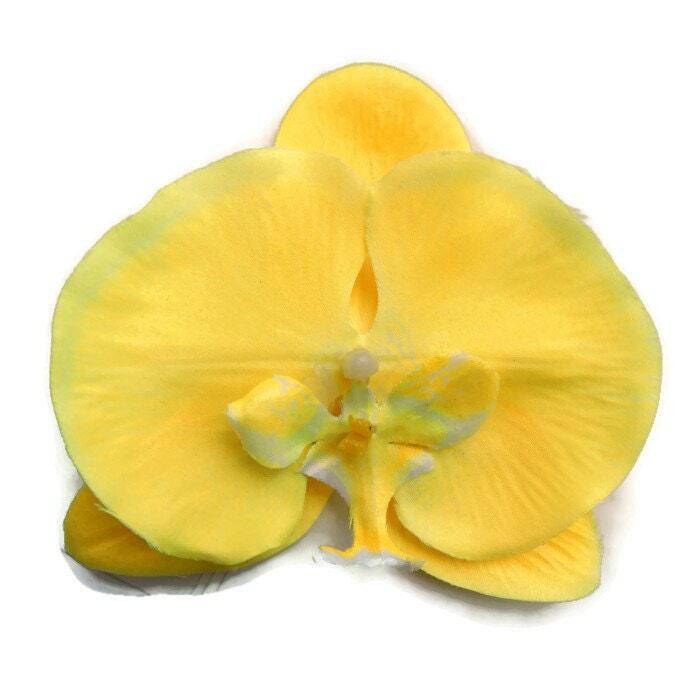 The perfect accent to your swimwear or dress, this flower will have you looking like an exotic retro bombshell. BEAUTIFUL FLOWER !!! I LOVE SO MUCH !!! THANK YOU FOR FAST DELIVERY!!! What I love most about this hair flower is that it lays flat against my head! I don't have to worry about the flower poking out at awkward angles like I do with a few of my other orchid hair flowers. I'll definitely be ordering more colors!